I thoroughly enjoyed Alice's wonderful class. I left the class ready to practice at home and felt really inspired. Theres lots of help online with the facebook group too. And the cake was incredible! I loved it. 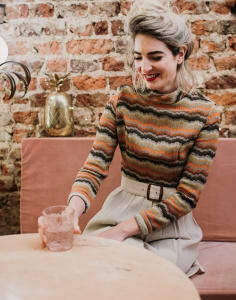 Such a lovely experience, from the venue (a super-old quirky East London house) to the tea and yummy cakes, to the lovely supportive atmosphere created by Alice. We all found we made progress pretty quickly, which was very motivational! Alice's passion for what she does, shines through. I loved that we took away all the materials with us, and Alice freely gave out all manner of tips on calligraphy and also on the best places to buy supplies. Had my first calligraphy lesson with the lovely Alice, and had the most fantastic time. Alice is a superb teacher, who started off with a brief history and the basics of modern calligraphy. We then learnt about the equipment and got down to the fun part, with helpful tips from Alice along the way. 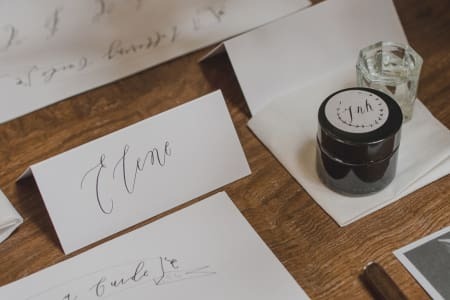 Highlights definitely have to be the delicious cake and tea provided throughout , and the free goody bags to take home after, to continue our calligraphy journey at home! Thanks so much Alice! Amazing one to one in a wonderful setting! Had a lovely evening. Alice is super friendly and helpful. Alice is one of the most approachable creators I’ve ever met and she is a total inspiration. She gives a great view on all the need-to-know basics and encourages people to find their own style and embrace the little flaws and imperfections that make analogue crafts like this so unique. Super fun, knowledgeable and friendly. I’d recommend her classes to anyone! 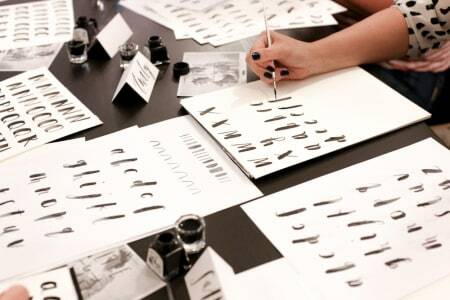 2What a relaxed and lovely way to hone your calligraphy skills and meet likeminded people. Alice is amazing. She has such a great energy and is so passionate about sharing her knowledge. She's created a great little community for budding calligraphers to develop their skills. 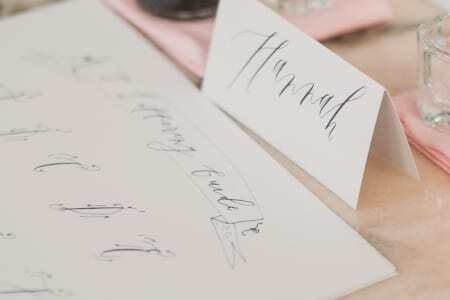 The venue is a quirky and quiet and the perfect for calligraphy. I highly recommend joining one of these sessions. Lovely venue, and Alice is such a great teacher and so friendly. She helped me improve my technique massively in only a couple of hours, but always in an encouraging way. The glass of prosecco was an added bonus ! 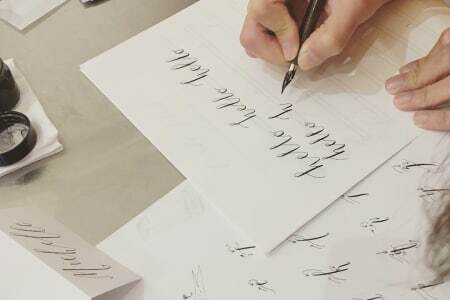 I originally attended one of Alice's Modern Calligraphy Workshops so was excited to return and brush up on my skills at the Practice Makes Perfect Club. The evening did not disappoint! Alice is a wealth of information and really took time to help all of us out and share her wisdom and useful tricks. The informal and sociable vibe made for a lovely evening, and it's great that Alice brings along her shop of supplies to stock on Calligraphy goodies. Wonderful evening of calligraphy practice in the back room of a very quirky shop. Very relaxed and friendly setting to get on with personal writing projects with Alice always on hand to give tips and advice. Perfect way to spend a Tuesday night - I might just make this a monthly occurrence!! Alice was once again the perfect host, in the most incredible venue (what a gem, I will be returning!). Having completed a workshop in the summer with Alice I was keen to implore her knowledge once again, and get in some practise ahead of Christmas! Alice has her craft honed to perfection and no matter your skill level, with her personal touch and individual attention she will have you leaving feeling accomplished.